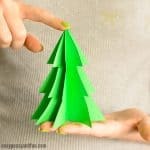 This DIY 3D Paper Ornament Christmas Card will delight both young and old! 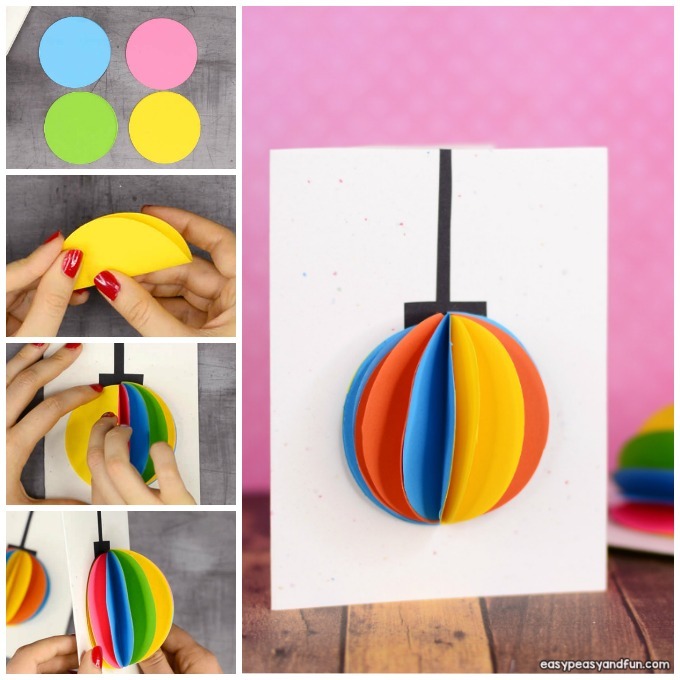 Make this Christmas bauble card by yourself or have your kids make them, they are a fun and easy project for all ages. 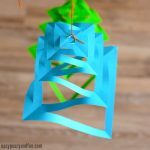 You can make this in one color or, as we did, use multiple colors to really make the paper ball stand out! 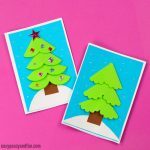 A handmade Christmas card is still a very much appreciated one, and this particular one will bring a smile on everyone’s face. 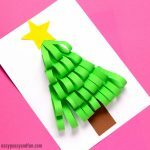 It’s a really easy project to make, one that will always end in a beautiful Christmas card, no matter who makes it or what colors you use to make one. 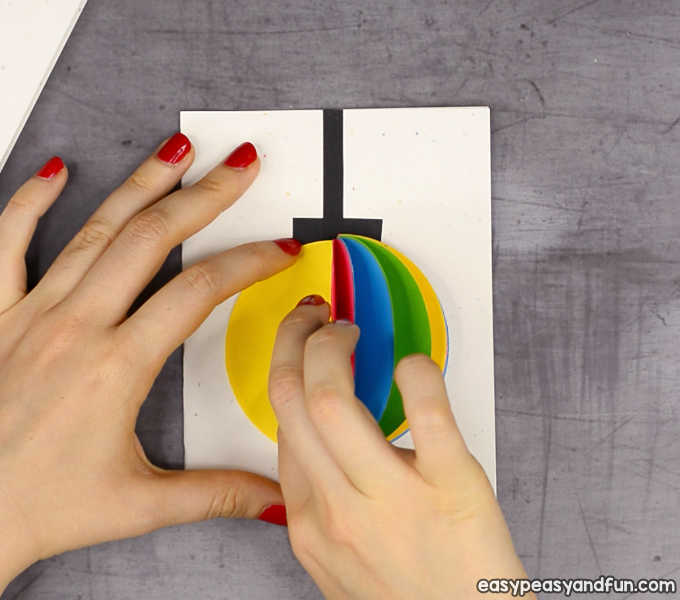 Punch or cut a whole lot of paper circles out of paper in same or different colors. 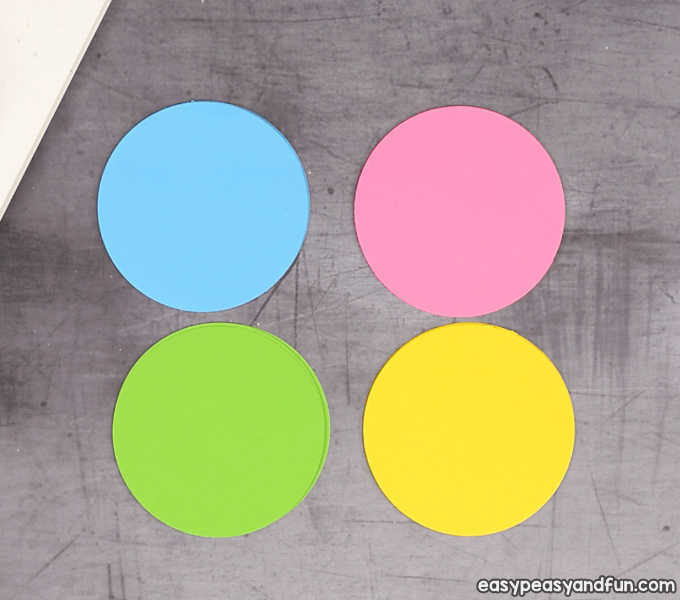 The size of the circles isn’t relevant – measure them up against your card and see what size looks best to you. We cut 4 different colors for our project. 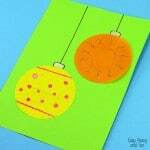 There is no set number of circles for this project, the more you use the fuller your christmas ornament card will look. 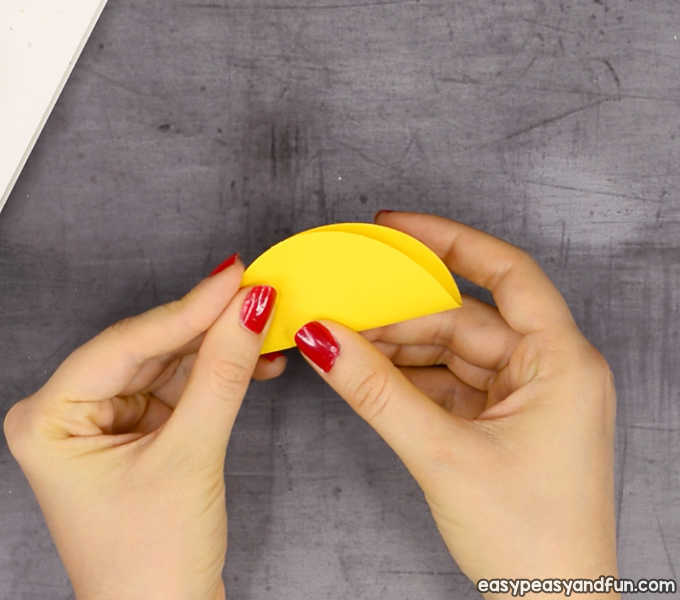 Fold the other circles in half. 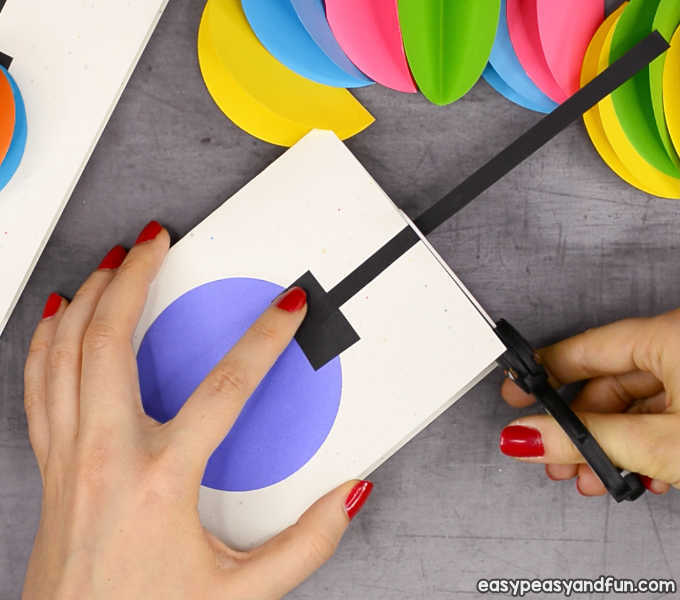 Take the card base and glue on the circle you previously set aside. 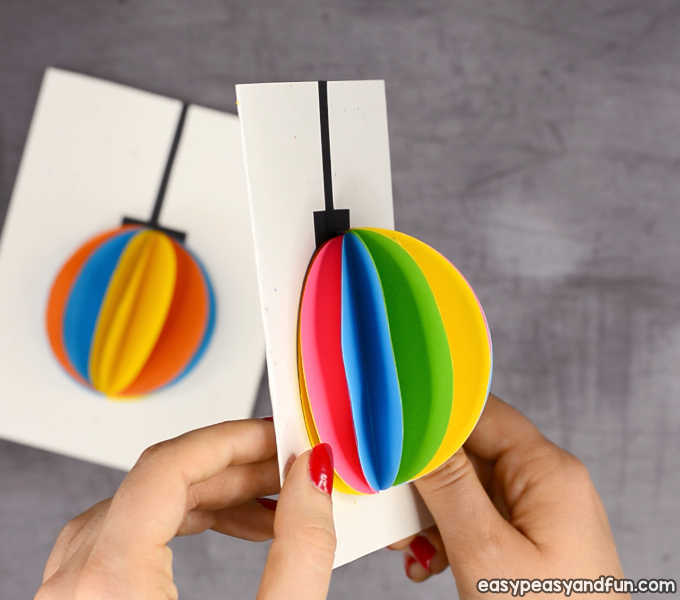 Cut a small black rectangle and glue it on top of the circle. Also cut a long super thin strip of black paper and glue it on top of the square. Alternatively, you can also draw these details with black, gold or silver marker. 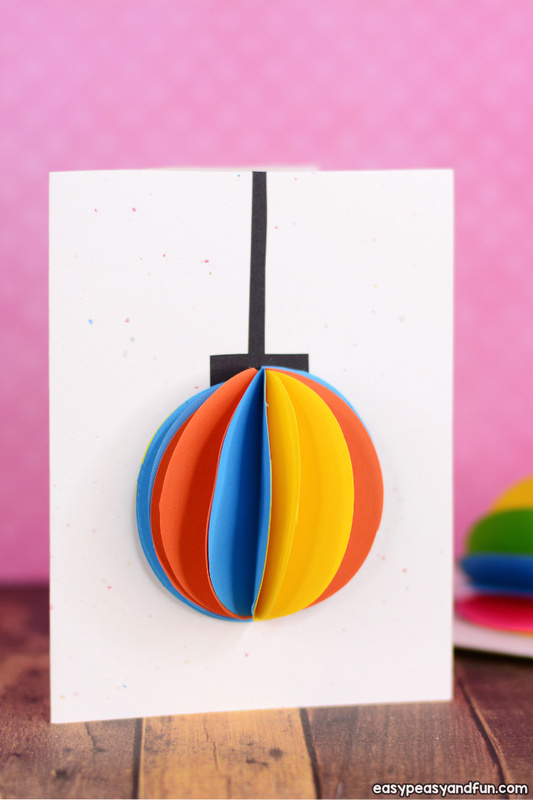 Take the first folded circle, apply glue on one half of it and stick it on top of the paper circle glued on the card (see image below). 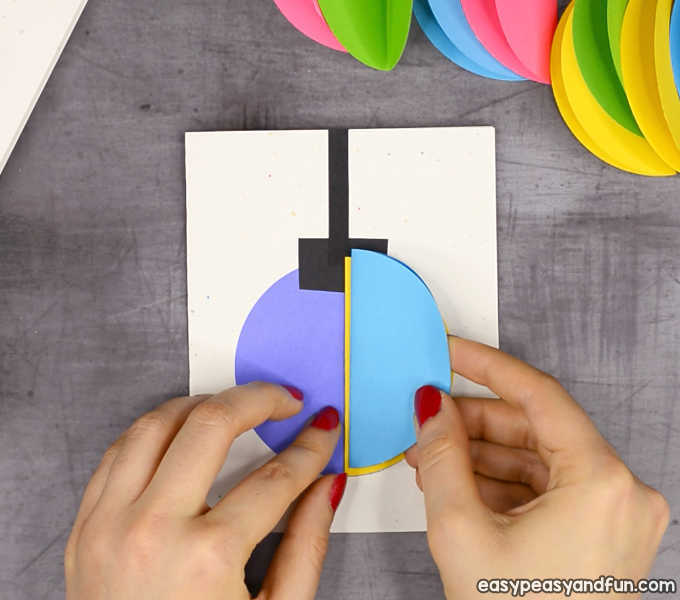 Continue with other folded paper circles. Add as many as you like, as you are making this you will have a pretty good idea how the end card will look like. …and stick it to the card base. All done! 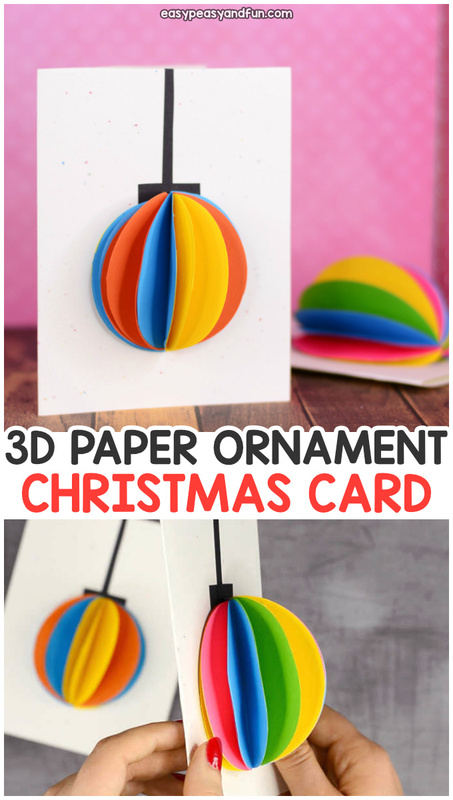 You have made a gorgeous looking 3D Paper Ornament Christmas Card. 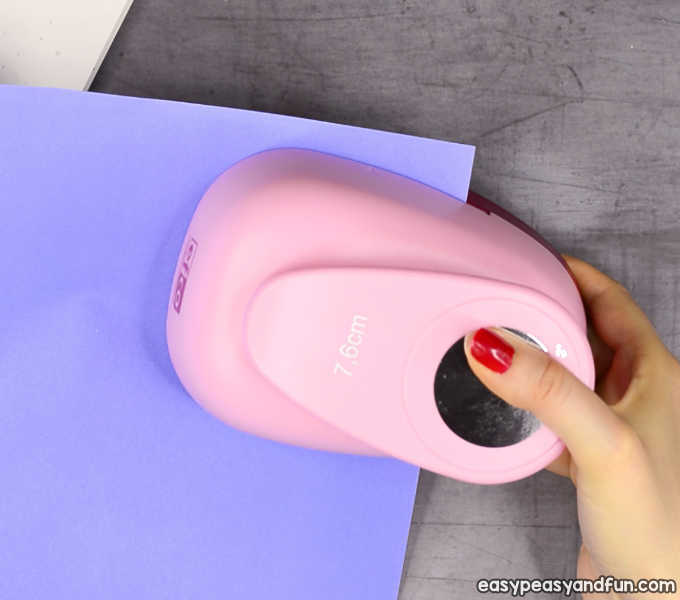 So simple to make, and if you have a paper punch a super quick project too. 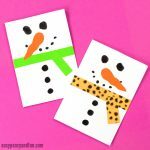 This one is great to make in the classroom too, as kids love punching paper with paper punches.